Everyone flocks to the Solarium. All photos by Erica Firpo. 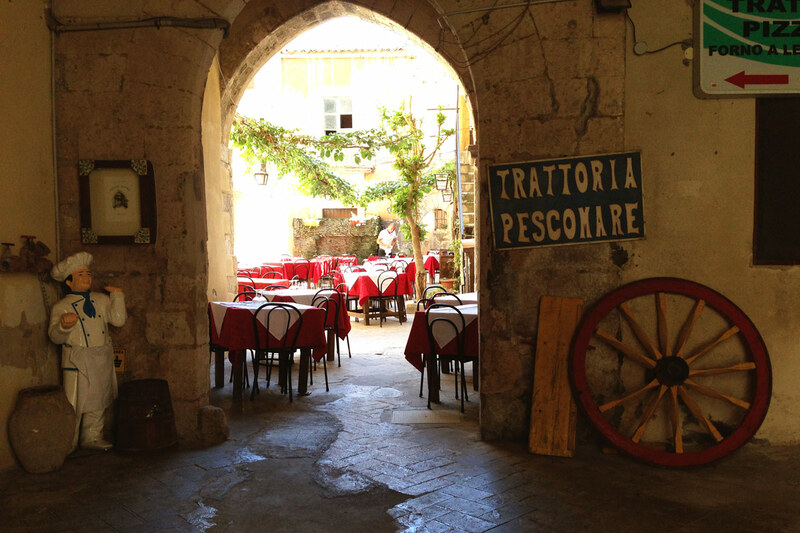 When she's not busy conquering her home city of Rome, contributing editor Erica Firpo is probably in Sicily, and . 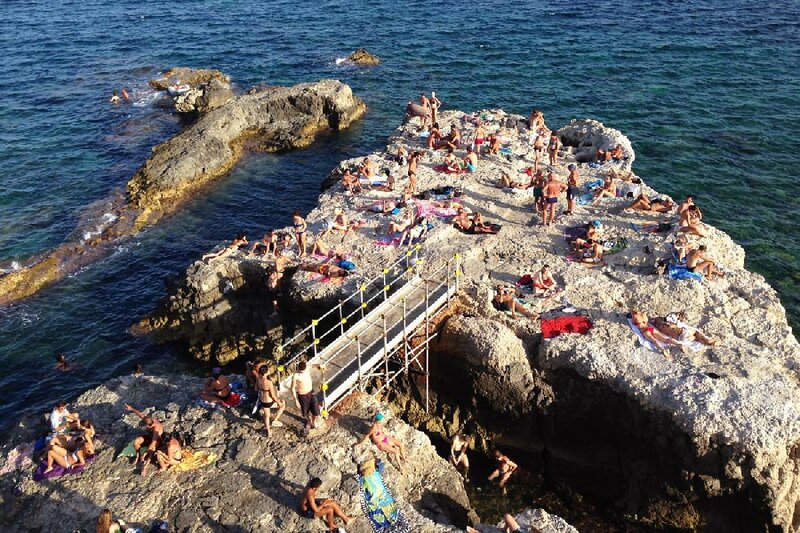 Here's her perfect day on the tiny island of Ortigia. 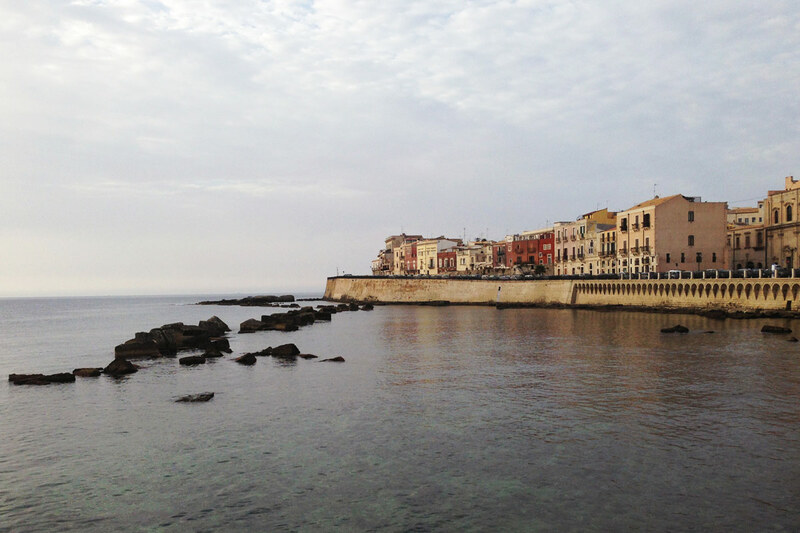 ORTIGIA, Sicily – My happy place has always had to do with rhythm and color, a tranquility easily achieved by listening to the first few bars of Naughty by Nature's "O.P.P." while envisioning Cy Twombly paintings. This all changed when I caught sight of Ortigia. A few years back, my husband brought me to Sicily, and specifically to Siracusa, for a Greek detour from our Roman lives. He promised me archaeology and UNESCO World Heritage, and I found the physical manifestation of my happy place — part Greek myth, part Sicilian fairy tale, sweetened with freshly made cannoli and a Caravaggio. 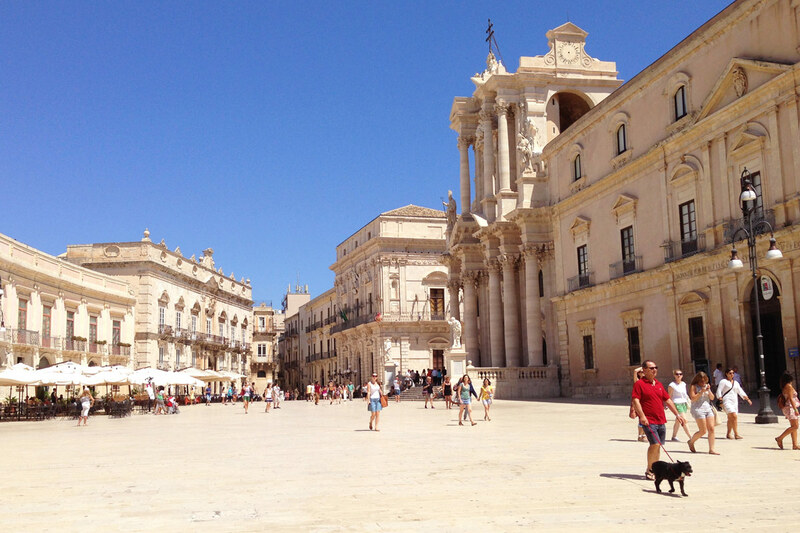 Lingering on the edge of Siracusa is Ortigia, a small island of 4,500 residents, limestone baroque palazzi, faded medieval houses, Greek temples, and DIY outdoor living rooms. Ortigia is rhythmic, a syncopated beat I fell into on my very first day on this gorgeous rock, and a pulse I pick up every time I return. Big catch at the fish market. Piazza Duomo, the town center. We wake up early for a walk to the so I can argue about the width of my swordfish carpaccio. I guzzle down oyster and sea urchin shots on street corners, then grab freshly made iris (deep-fried dough balls stuffed with ricotta) before winding our way home for breakfast. We'll toss our hands in the air as we argue about which cultural site to visit: strong>, , Fonte Aretusa. Maybe, maybe not. We have a lazy lunch at home because the sun is too strong, and then we're ready to park our flipflops at the Solarium, a smaller rock off 'sto scoglio where everyone sunbathes and swims. By late afternoon, we're ready for aperitivi, so its either back to Piazza Duomo (we're going to end up there one way or another...) or off on an adventure to find a different spot, a new view, or not. The streets are starting to fill with life. Conversations in the impromptu outdoor living rooms are more animated, and eventually everyone heads to Piazza Duomo or Piazza Artemide. Dinner is not until nine p.m. We have our usual spot, but we keep trying to get creative. Inevitably, we've claimed table space for the last granite or cannolo of the evening. The courtyard at Pesco Mare. Cassatine at Gran Caffe del Duomo. A tiny, medieval courtyard with great fish. Their cassatine and iced tea with lemon granite are perfect. For morning cannoli, brioche con gelato, and freshly made granite. 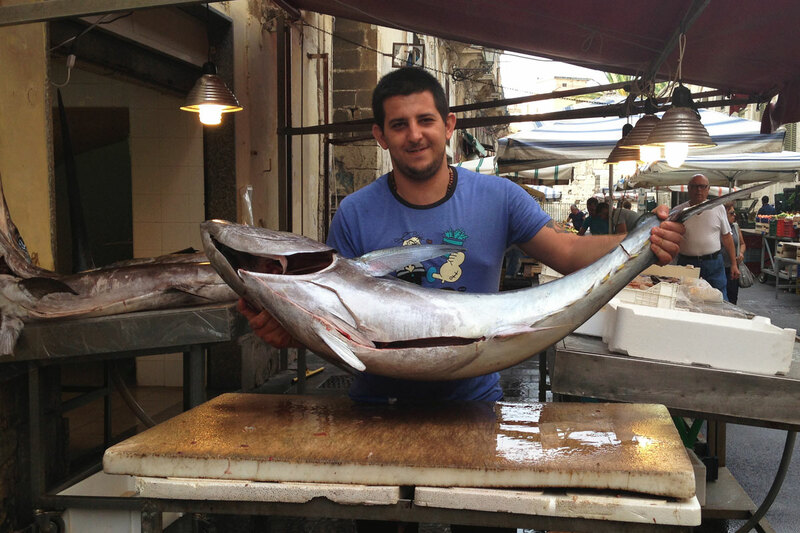 An enoteca focusing on Sicilian wines with an excellent raw fish menu. For French flare on Ortigia. An artsy vegetarian restaurant with live music and installations. 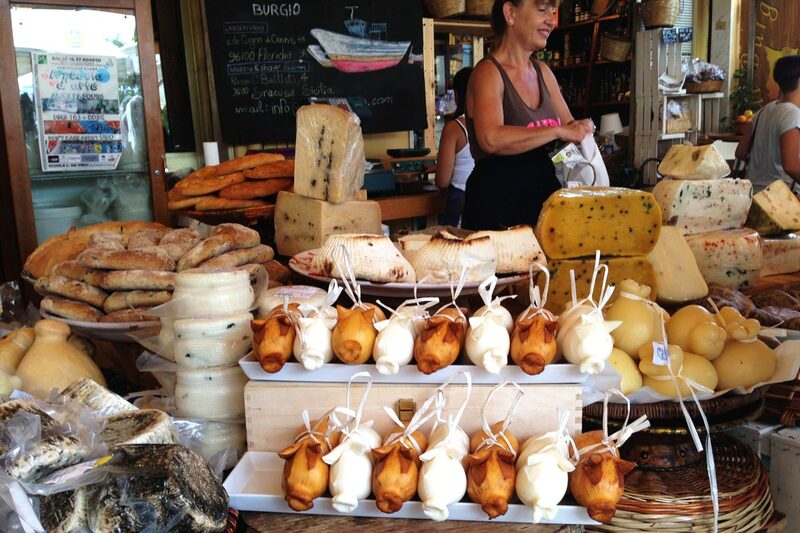 Sicilian delicacies at Fratelli Burgio. I love walking around the Graziella neighborhood, home to the (Via Emanuele De Benedictis). 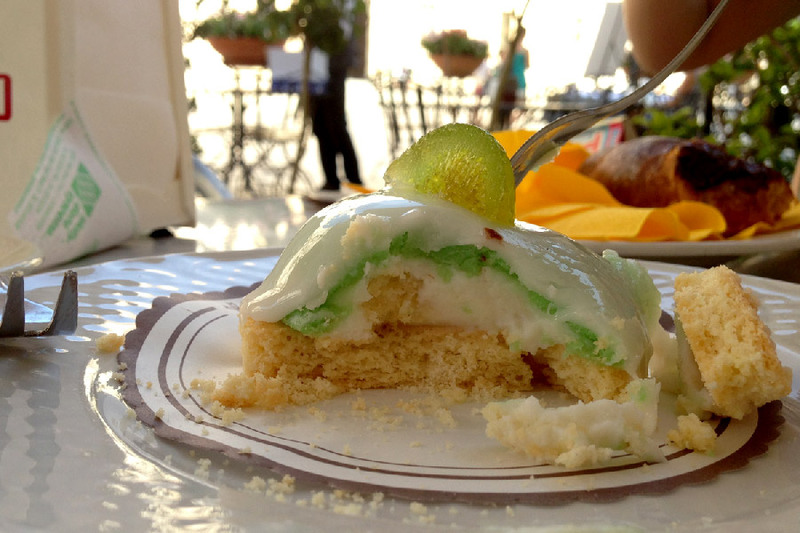 (Piazza Cesare Batisti, 4; +39-0931-60069) is a must for the Sicilian delicacies and the five euro two-liter bottle of local white wine. Nearby Via Veneto is not quite a fancy shopping street, but has great finds like beautiful hand-painted vases at (Via Vittorio Veneto, 43; +39-0931-714362) and hand-macramé ponchos by Donna Carmelo. Donna is an old lady who works from her home on Via Veneto. She just hangs her ponchos out of her window. Best to leave it as that. 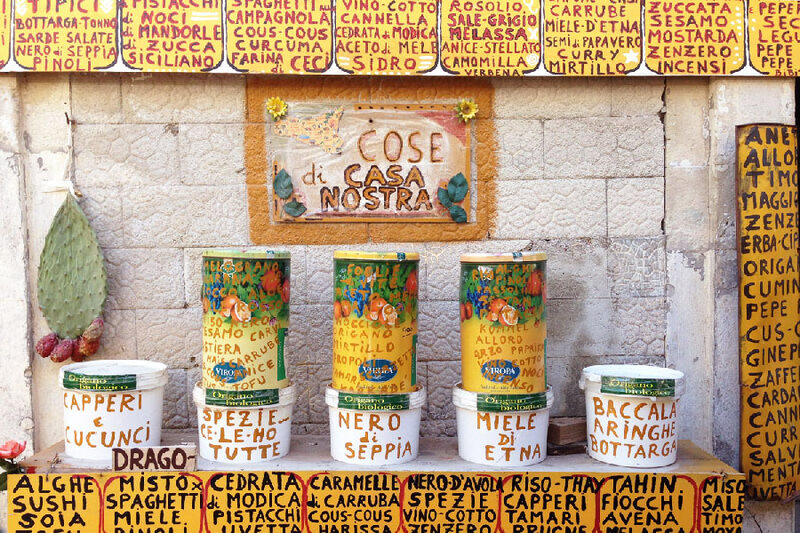 A Sicilian specialty shop with olive oils, Modica chocolate, and other tasty treats. Alessia's furniture is made from recycled material with a clever sensibility. She works with local artisans and makes her own signature pieces. Ortigia is a with interactive information points all over the city that explain the island's history, from its origins as a Greek colony to the present. My favorite sites include Fonte Aretusa on Largo Aretusa, (Via Santa Lucia alla Badia, 2; +39-0931-65328), (Via Della Giudecca, 17-19; +39-0931-465540), and the . Or walk across the bridge to Siracusa. Find some local sesame cookies, then explore its archaeological patrimony — the Greek theater, Dionysus' ear, the Roman theater — at the vast ruins. Ortigia is 40 miles south of (CTA) and is easily reachable by bus, car, or train. 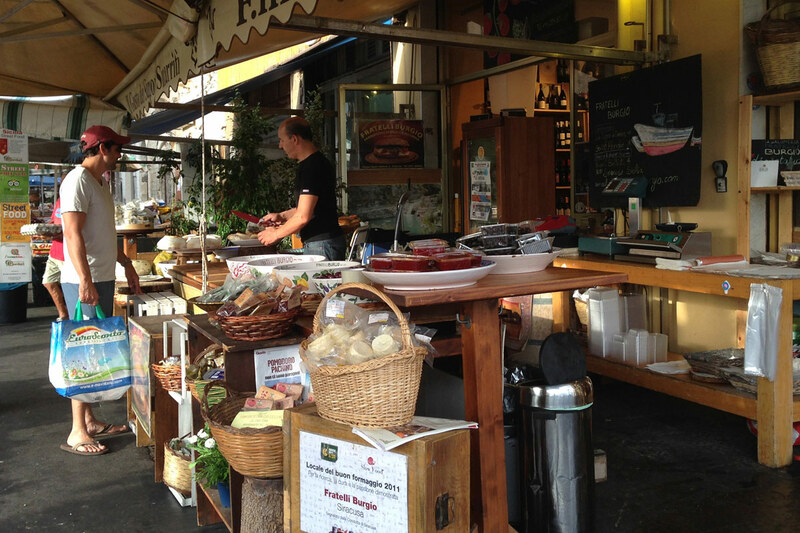 is a freelance writer based in Rome. Follow her on and . She travels for the whole new head space.